The reconstruction on I-35W from I-820 to I-30 is referred to as "Segment 3A". 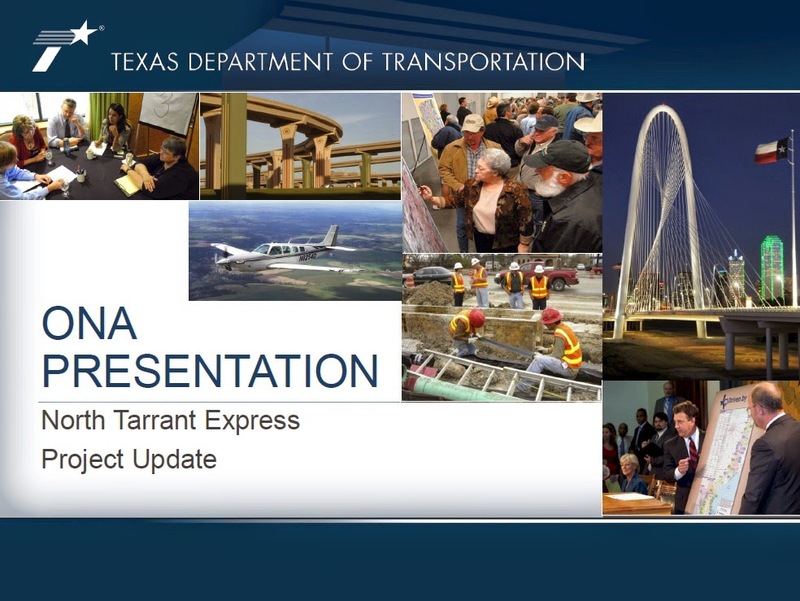 The mandatory scope schematics for the I35 reconstruction are posted at http://www.txdot.gov/government/partnerships/current-cda/north-tarrant-express/interim-project.html. Please note that the documents at that website reflect the original schematic design; they do not reflect the design changes that have been implemented and were recently presented to ONA. A PDF copy of that presentation (showing the improvements to the design) is posted below. To stay up-to-date on road conditions, visit TxDOT's Drive Texas page: http://www.txdot.gov/driver/travel/highway-conditions.html. You may also sign up for e-Alerts from North Tarrant Express: https://secure7.easyasphosting.com/NorthTarrantExpress-com/GetAlerts.asp.